Carbon Fishing Rod Cases – Northwind Composites, L.L.C. How many times have you packed your 8 ounce fly rod in 4+ miles to your favorite spot and had to chose between either carrying it assembled trying not to snag a tree branch on the trail or packed your rod in a 2lb glorified PVC tube? Well no more! After spending years of personally dealing with this frustration and grumbling over the lack of a good solution on the market, Lee put the Northwind team to work and we are proud to offer our solution. – Lightweight but strong! A 29in long case weighs just 5.8 ounces! – 1.5in inner diameter, assembled to length per customer request, max 40in without splices. 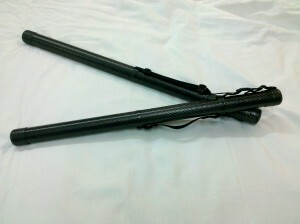 – 100% carbon fiber and epoxy resin, heat cured at 300 deg. F.
– 100% hand made on aluminum mandrels and silicon compression molding. – Carry handles for convenience and tie points to your pack. Q. 1.5in diameter, will my rod fit? A. This case is a tight fit. Most rods require a specific packing order to allow all the line guides to nest and clear. This is intentional in an effort to minimize weight and prevent excess movement. 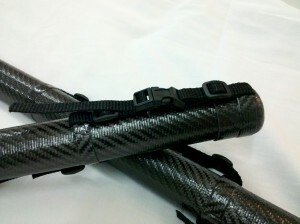 If your rod does not fit, we will gladly accept returns if the case is in new condition. We are also working on tooling up for larger diameter tubes. 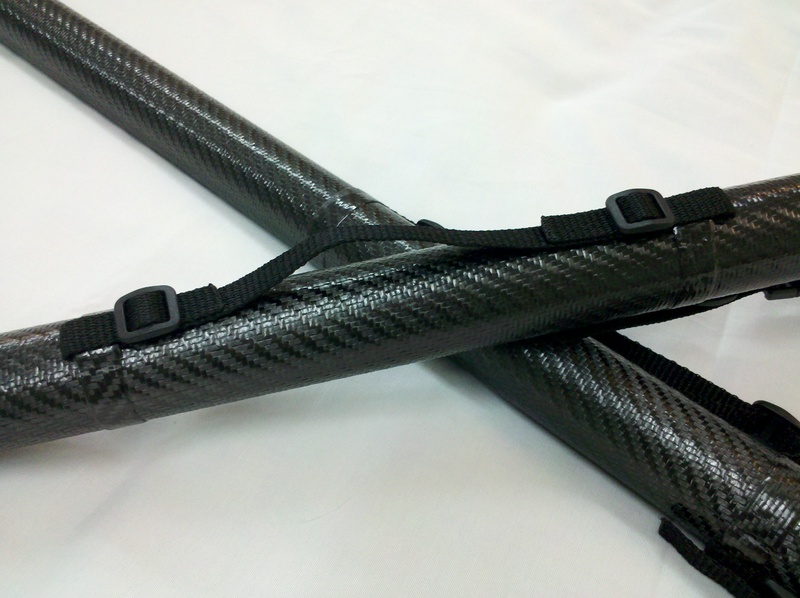 Please note that most spinner rods have larger line guides and will require a larger diameter tube. Q. I’ve been around a lot of fiberglass boats and kayaks and they always smell. Will this case impart an odor on my pack? A. No. These cases are made specifically from 100% epoxy resin systems so there is no odor. Lee hates the smell of styrene and refuses to let us use a styrene based resin, anywhere, at all. Q. A bear tried to steal my 20in cutthroat and I beat it off with my case. Now my case is slightly damaged. Can it be repaired? A. 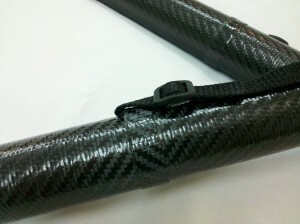 Yes, we do sell sleeves that will go over the main tube that can be epoxied into place to repair the main tube. We also sell replacement end caps. Please contact us for further details. Q. I have a two piece rod and 40in is not long enough. Can you make one longer? A. 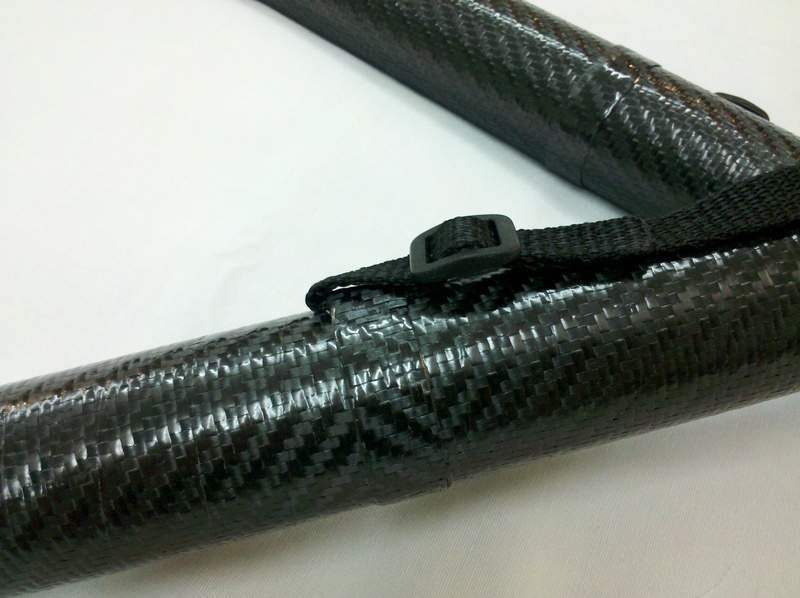 Yes, it will have a splice on the main tube but we can make the case as long as you need. Please contact us for more information on custom pricing.